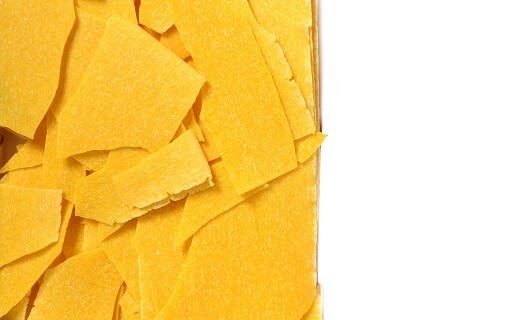 Originally, the maltagliata are falls of pasta recovered during manufacture, to avoid any loss. They have become a specialty in its own in the Emilia region of Italy, which enjoys cooking them with a sauce or a soup. The classic recipe is to cook the soup with beans. 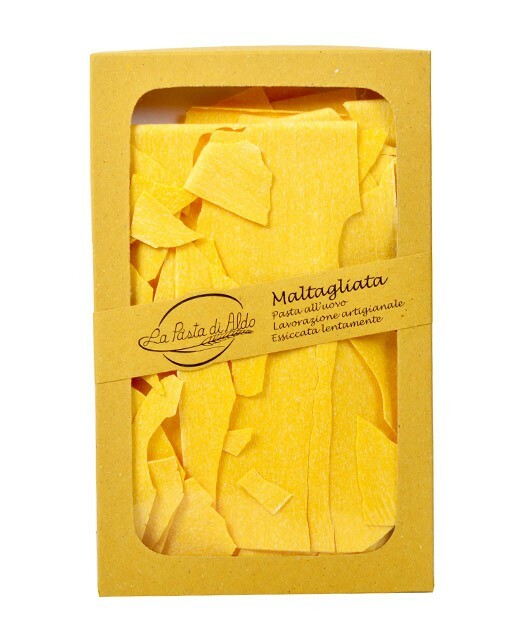 A 250g pack is enough for 4 people but please allow 2 packets, because when you taste the Maltagliata di Aldo it's hard to stop. Hard wheat flour, whole eggs 32%. Pasta Di Aldo are produced by Luigi Donnari and his wife Maria Alzapiedi. 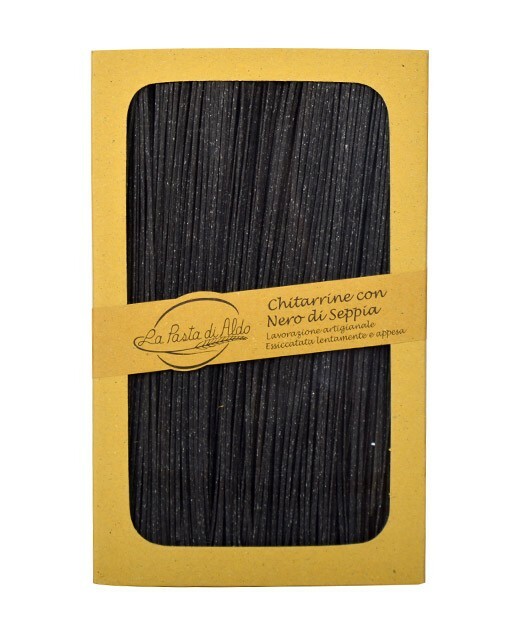 They only produce 80 kilograms of dried pasta daily in their small workshop in Monte San Giusto in the Marche region of Italy. They use a local variety of grain for each product. The pastry is kneaded with the hand, then passed through a small machine. The pasta is then cut by hand and hung to dry slowly at low temperature by a natural drying. Pasta di Aldo is considered as one of the best pasta by Italians.